‘A kind of brassy yellow sunlight flooded all the garden. The arms of the bushes were swinging violently about in a really savage wind. The streaked ribbons from a bush of pampas-grass, immediately outside the door, streamed outwards in all directions. This bush remained squashed down as flat as a pancake to the level of the gravel terrace in a curious way, and it looked unnatural, as if a heavy, invisible person must be sitting down on top of it. This little quirk of Mrs. Thatcham’s made me giggle as well. This is a book full of small, bemused laughter – the kind of laughter that keeps a person balancing on the lip of a precipice, the absence of which would allow a person to pitch over into the abyss. On the day of her wedding, Dolly teeters, catches herself by grabbing a handy bottle of rum, and goes off with the Hon. Owen Bigham, leaving her tortoise and last summer’s lover behind on the drive with her family and the furious March gale. Such wonderful descriptive imagery, Sarah! Unfortunately The Man on the Pier has not been published (yet) by Persephone; I had no idea Strachey had written something else, which I must seek out. So pleased that you enjoyed your first Persephone and during Persephone Reading Week, no less. Flush is perfectly quick reading -and such a charming novella with hidden depths- for the week but Someone at a Distance isn’t dense and makes addictive reading. I’ve heard lots of great things about Something at a Distance, and Claire (kiss a cloud) said the same thing about its readability. I’ll definitely read it soon! I’ve not come across Man on the pier – it’s not a Persephone title, but I shall have to look out for it! Thanks for highlighting that in your review! “Small bemused laughter” catches this book quite perfectly. Man on the Pier also goes by the title An Integrated Man. 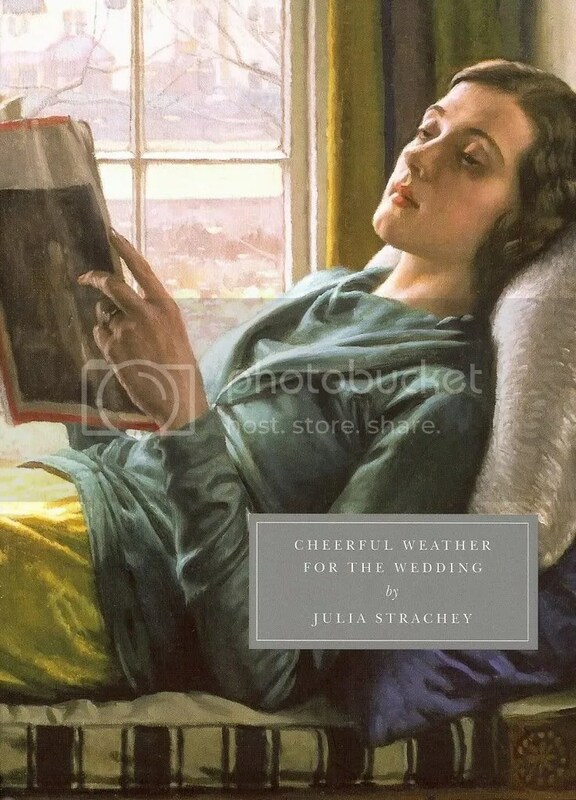 I spotted a little Penguin edition of Cheerful Weather and An Integrated Man on a bookstall last summer, and snapped it up. Let’s hope there are some more inexpensive copies out there for others to find.